How the principles of I Peter 3:1 had the power to change a modern-day marriage, when the wife learned how to love her husband in a sacrificial way. The author declares, "How I conquered nagging, lecturing, and arguing, and learned how to get everything I ever wanted from my husband without saying a single word." This intriguing statement is the basis for the author's conversatin to the reader in this book, about how she used the advice of I Peter 3:1-2. How can a woman win the respect and devotion of her unspiritual husband, allowing his heart to be softened and prepared for repentance? How can a strong, independent, modern-day wife lay aside the habit of fighting for her rights, and still obtain everything she wants and needs? How do you win an agrument with a proud and stubborn man? Why do some marriages work, but mine doesn't? How can I introduce my husband to a spiritual walk with Christ according to I Peter 3:1? 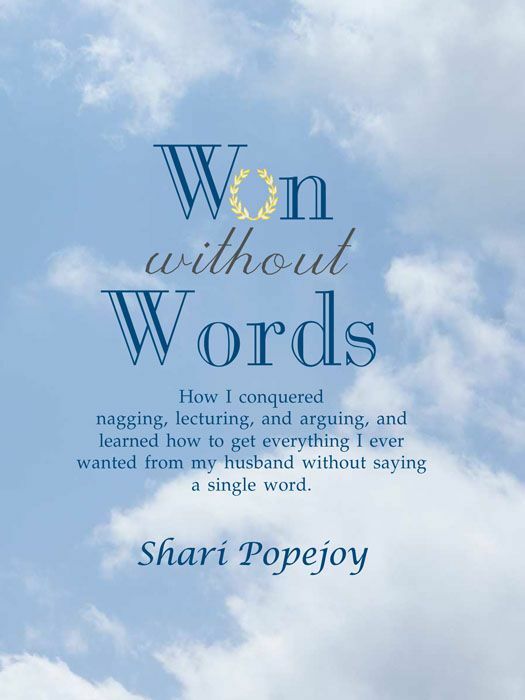 Learn how the author discovered the answers to these questions in her marriage, and how her secret desires became her husband's greatest gift to her, as she became victorious in her marriage, as she lived the principle of Won Without Words.